hair art and design surveys a range of projects in which creatives have used hair as a medium in the making of sculpture, design objects and even typography. examples include the medal-worthy mutton chops and gracefully-groomed goatees of beard & mustache champions, and artisti zhu tian's flesh-colored hairy stilettos. 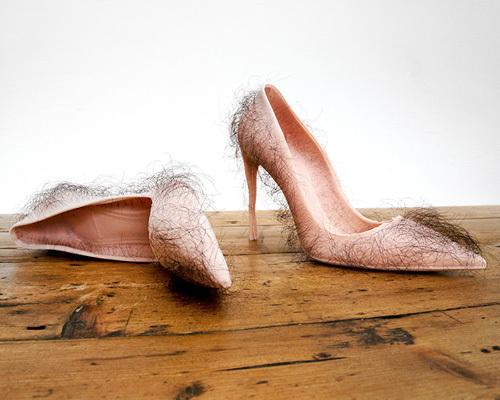 chinese artist zhu tian has sculpted a pair of provocative pumps: ‘babe’ are a set of flesh colored shoes made of silica gel, completely covered in stringy human hair and tied together with chains. 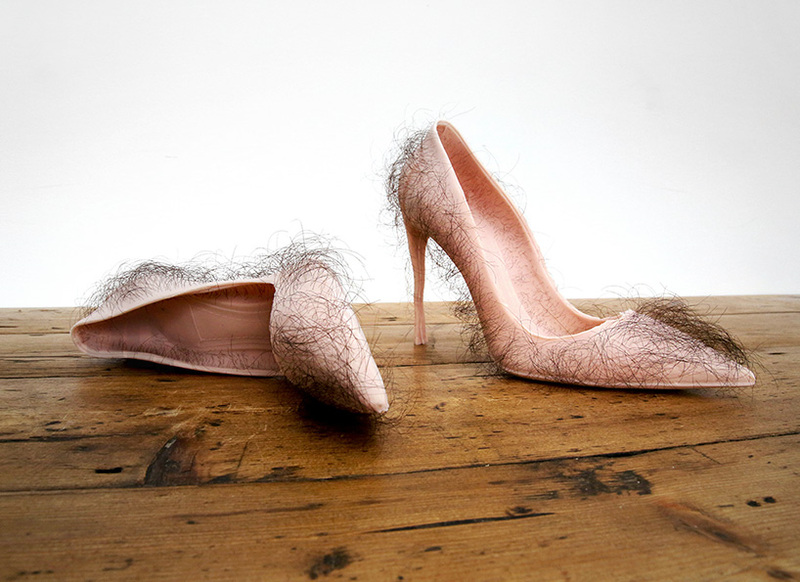 strands of hair have been carefully implanted into the foot-shaped form, loosely arranged to highlight their undoubtedly revolting appearance. 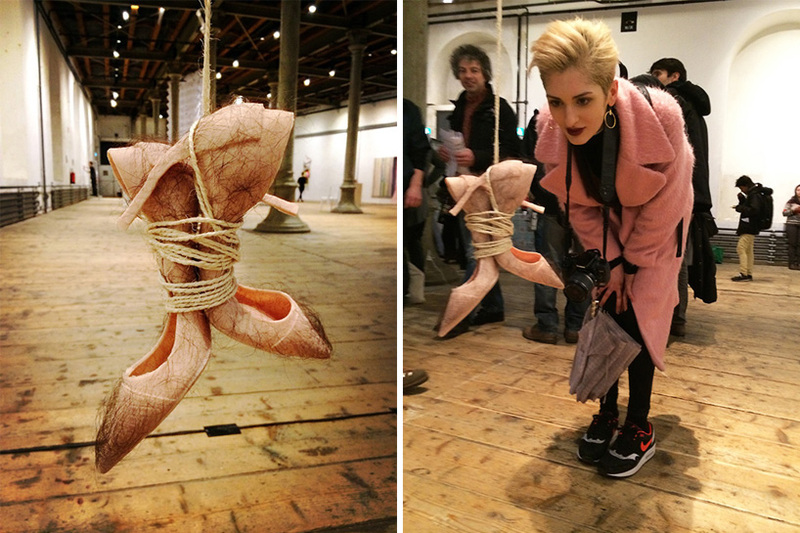 the explicit connotations are evident as the sculptural wearables seek to covey their primary function as sexual commodities and as tools to increase attractiveness and lust.